Better than guest book. 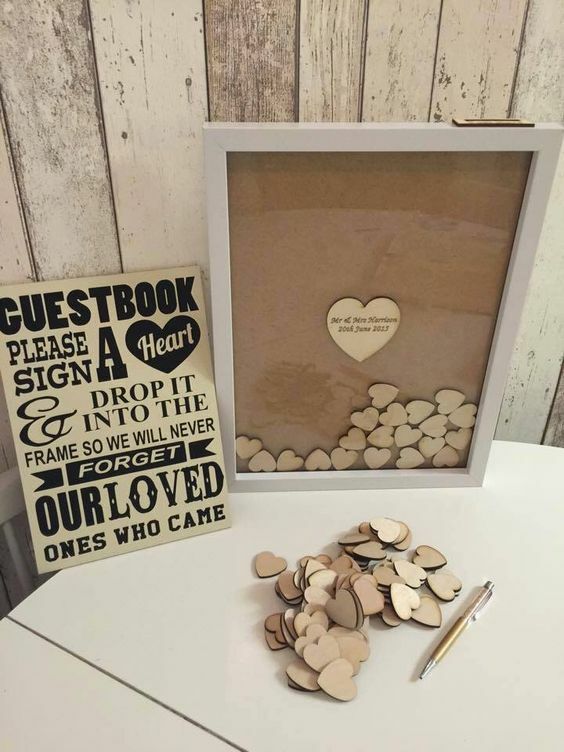 Have guests write on the little hearts and put them in the frame so everyone will remember. How many times do people really go through a guestbook and read what people wrote? Do we really display these in our homes for everyone to come over and see? Chances are you answered I read it once or never, and no it is in storage somewhere. There is no need for these boring traditional books that no one looks at anymore. Here are fun and unique ways for your guests to enjoy being welcomed to your wedding and also double as adorable home decor after for houseguests to enjoy.